After a federal appeals court ruled that the state could temporarily enforce new requirements for abortion facilities, Texas abortion providers are looking to the U.S. Supreme Court. On Monday, attorneys for the abortion providers challenging the state’s House Bill 2 filed an emergency application asking the Supreme Court to reinstate a U.S. district court ruling that had blocked key provisions of the law from going into effect. Last week, a three-judge panel of the U.S. 5th Circuit Court of Appeals ruled that the state could enforce the abortion law as the case makes its way through the appeals process. The law includes requirements that doctors performing abortions have hospital admitting privileges within 30 miles of a clinic and that clinics meet the same standards as ambulatory surgical centers. “There can be no question that just a handful of clinics left to offer safe, legal abortion care to all women across the vast state of Texas is a dire emergency in need of an immediate response,” said Nancy Northup, president and CEO of the Center for Reproductive Rights. 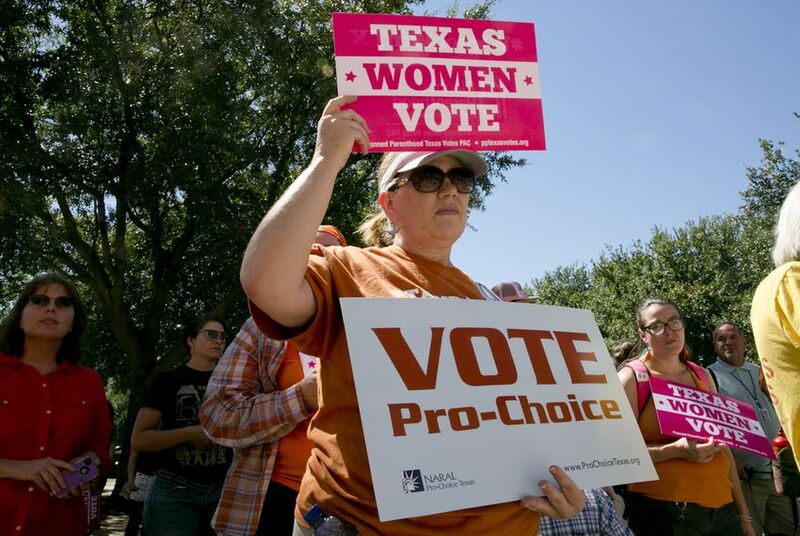 In their application, the abortion providers argued that the enforcement of HB 2 had already had “a devastating impact on the availability of abortion services,” leaving only eight abortion facilities in the state and none south of San Antonio or west of Fort Worth. Representatives for the Texas attorney general’s office, which is representing the state in the case, did not immediately respond to request for comment on the application.